Landing Plasma Driver grants Kinetic Tracer Shots stacks. Tracer Shots: Kinetic fires a tracer at her target. Tracer damage increases when more stacks are gained. Kinetic unleashes a burst of energy, damaging the first enemy struck. Kinetic dashes and temporarily becomes Charged; refreshes Plasma Driver’s cooldown. 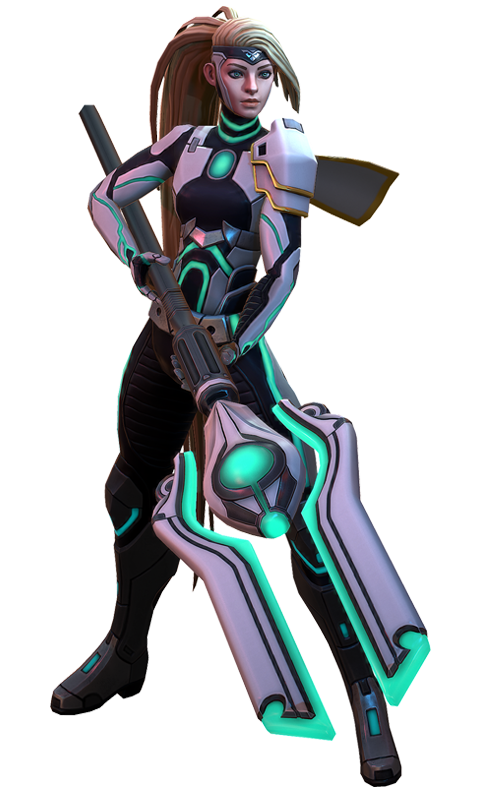 Charged: Kinetic’s next Plasma Driver deals more damage, has increased range, and slows her target. Overdrive: Kinetic’s next Plasma Driver briefly stuns her target. Kinetic charges up a powerful blast and fires it at her target. Using Charged pulse Consumes all stacks of Tracer Shots to deal bonus damage per stack. Can be blocked by enemy heroes, structures, and jungle bosses.